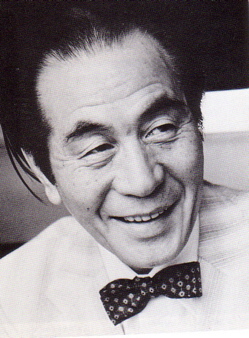 Akira Ifukube (伊福部 昭 Ifukube Akira, 31 May 1914 – 8 February 2006) was a Japanese composer of classical music and film scores, perhaps best known for his work on the soundtracks of the Godzilla movies by Toho. Akira Ifukube was born on May 31, 1914 in Kushiro on the Japanese island of Hokkaidō, the third son of a Shinto priest. Much of his childhood was spent in areas with a mixed Japanese and Ainu population, and his father, unusually for the time, socialised with Ainu. 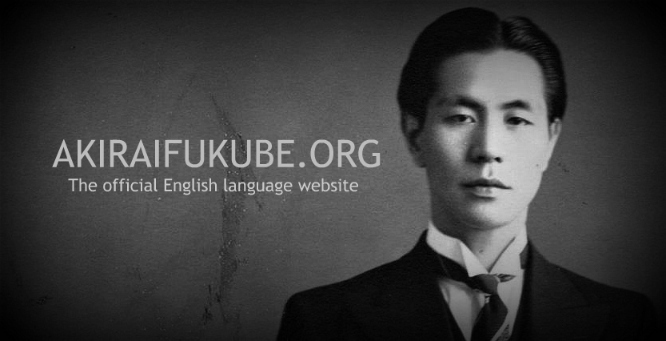 Ifukube was strongly influenced by the traditional music of both peoples, and studied the violin and the shamisen. His first encounter with classical music occurred when attending secondary school in Hokkaidō's capital, Sapporo. Legend has it that Ifukube decided to become a composer at the age of 14 after hearing a radio performance of Igor Stravinsky's ballet, The Rite of Spring. He also cited the music of Manuel de Falla as a major influence. Ifukube went on to study forestry at Hokkaido University and composing in his spare time, which prefigured a line of self-taught Japanese composers such as Tōru Takemitsu and Takashi Yoshimatsu. His first piece was the piano solo, Piano Suite (later the title was changed to Japan Suite, arranged for orchestra). This piece was dedicated to the pianist George Copeland who was then living in Spain. Atsushi Miura, musicologist and Ifukube's friend in university, sent a fan letter to Copeland. Copeland replied, "It is wonderful that you listen my disc in spite of you living in Japan, the opposite side of the earth. I imagine you may compose music. Send me some piano pieces." Then Miura, who was not a composer, presented Ifukube and this piece to Copeland. Copeland promised to interpret it, but the correspondence was unfortunately stopped because of the Spanish Civil War. Ifukube's big break came in 1935, when his first orchestral piece, Japanese Rhapsody, won the first prize in an international contest for young composers promoted by Alexander Tcherepnin. The judges of that contest—Albert Roussel, Jacques Ibert, Arthur Honegger, Alexandre Tansman, Tibor Harsányi, Pierre-Octave Ferroud, and Henri Gil-Marchex—were unanimous in their selection of Ifukube as the winner. The next year, Ifukube studied modern Western composition while Tcherepnin was visiting Japan, and in 1938 his Piano Suite obtained an honourable mention at the I.C.S.M. festival in Venice. In the late 1930s his music, especially Japanese Rhapsody, was performed in Europe on a number of occasions. On completing University, he worked as a forestry officer and lumber processor, and towards the end of the Second World War was appointed by the Japanese Imperial Army to study the elasticity and vibratory strength of wood. He suffered radiation exposure after carrying out x-rays without protection, a consequence of the wartime lead shortage. Thus, he had to abandon forestry work and became a professional composer and teacher. Ifukube spent some time in hospital due to the radiation exposure, and was startled one day to hear one of his own marches being played over the radio when General Douglas MacArthur arrived to formalize the Japanese surrender. From 1946 to 1953, he taught at the Nihon University College of Art, during which period he composed his first film score for The End of the Silver Mountains, released in 1947. 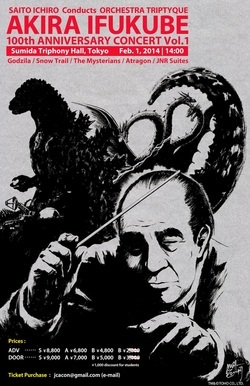 Over the next fifty years, he would compose more than 250 film scores, the high point of which was his 1954 music for Ishirō Honda's Toho movie, Godzilla. Ifukube also created Godzilla's trademark roar – produced by rubbing a resin-covered leather glove along the loosened strings of a double bass – and its footsteps, created by striking an amplifier box. Despite his financial success as a film composer, Ifukube's first love had always been his general classical work as a composer. In fact his compositions for the two genres cross-fertilized each other. For example, he was to recycle his 1953 music for the ballet Shaka, about how the young Siddhartha Gautama eventually became the Buddha, for Kenji Misumi's 1961 film Buddha. Then in 1988 he reworked the film music to create his three-movement symphonic ode Gotama the Buddha. Meanwhile he had returned to teaching at the Tokyo College of Music, becoming president of the college the following year, and in 1987 retired to become head of the College's ethnomusicology department. He trained younger generation composers such as Toshiro Mayuzumi, Yasushi Akutagawa and Kaoru Wada, Yssimal Motoji and Imai Satoshi. He also published Orchestration, a 1,000-page book on theory. He died in Tokyo at Meguro-ku Hospital of multiple organ dysfunction on February 8, 2006 at the age of 91. The Japanese government awarded Ifukube the Order of Culture. Subsequently, he was awarded the Order of the Sacred Treasure, Third Class. Salome (1948) – ballet based on Oscar Wilde's play of the same name. 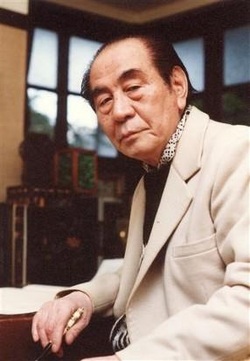 Ifukube revised and expanded the score in 1987. The piece is written in a conservative, late-romantic style reminiscent of Rimsky-Korsakov, Mussorgsky or even Khachaturian. La Fontaine sacrée for soprano, viola, bassoon and harp (1964, 2000); arrangement by the composer from the 1964 film score Mothra vs. Godzilla. In addition, his work were also used in Godzilla vs. Biollante, Godzilla vs. SpaceGodzilla, Godzilla 2000, Godzilla vs. Megaguirus, Godzilla, Mothra and King Ghidorah: Giant Monsters All-Out Attack, and Godzilla: Final Wars. Eiji Tsuburaya (円谷 英二 Tsuburaya Eiji) (Eiichi Tsumuraya (円谷 英一 Tsumuraya Eiichi); July 10, 1901 – January 25, 1970, in Sukagawa, Fukushima) was the Japanese special effects director responsible for many Japanese science-fiction movies, including the Godzilla series. 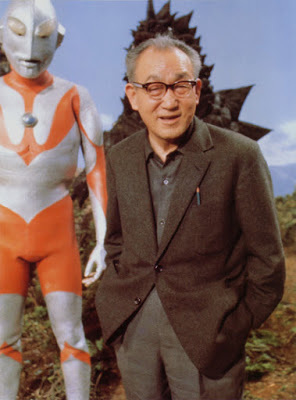 In the United States, he is also remembered as the creator of Ultraman. 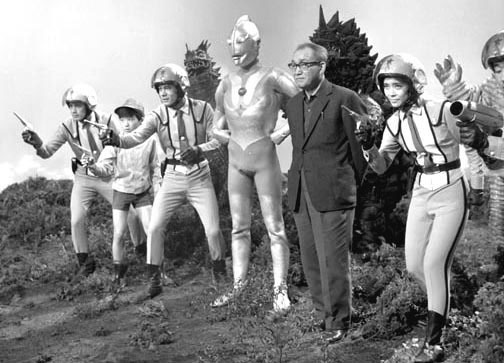 Tsuburaya described his childhood as filled with "mixed emotions." He was the first son of Isamu Shiraishi and Sei Tsuburaya, with a large extended family. His mother died when he was only three and his father moved to China for the family business. Young Eiji was raised by his barely older uncle, Ichiro, and his paternal grandmother, Natsu. He attended elementary school at the Sukagawa Choritsu Dai'ichi Jinjo Koutou Shogakko beginning in 1908, and two years later, he took up the hobby of building model airplanes, due to the sensational success of Japanese aviators, an interest he would retain for the rest of his life. In 1915, at the age of 14, he graduated the equivalent of High School, and begged his family to let him enroll in the Nippon Flying school at Haneda. After the school was closed on account of the accidental death of its founder, Seitaro Tamai, in 1917, Tsuburaya attended trade school. He became quite successful in the research and development department of the Utsumi toy company, but a chance meeting at a company party in 1919, set the course for his destiny—he was offered a job by director Yoshiro Edamasa, a job that would train him to be a motion picture cameraman. While the Tsuburaya family's traditional religion was Nichiren Buddhism, Tsuburaya converted to Roman Catholicism in his later years (his wife had already been a practicing Roman Catholic). In 1919, his first job in the film industry was as an assistant cinematographer at the Nippon Katsudou Shashin Kabushiki-kaisha (Nippon Cinematograph Company or Kokkatsu for short) in Kyoto, which later became better known as Nikkatsu. After serving as a member of the correspondence staff to the military from 1921 to 1923, he joined Ogasaware Productions. He was head cameraman on Hunchback of Enmeiin (Enmeiin no Semushiotoko), and served as assistant cameraman on Teinosuke Kinugasa's ground-breaking 1925 film, Kurutta Ippeiji (A Page of Madness). He joined Shochiku Kyoto Studios in 1926 and became full-time cameraman there in 1927. He began using and creating innovative filming techniques during this period, including the first use of a camera crane in Japanese film. In the 1930 film Chohichiro Matsudaira, he created a film illusion by super-imposition. Thus began the work for which he would become known—special visual effects. 1930 was also the year of his marriage to Masano Araki. Hajime, the first of their three sons, was born a year later. During the 1930s, he moved between a number of studios and became known for his meticulous work. It was during this period that he saw a film that would point towards his future career. After his international success with Godzilla in 1954, he said, "When I worked for Nikkatsu Studios, King Kong came to Kyoto and I never forgot that movie. I thought to myself, 'I will someday make a monster movie like that.'" 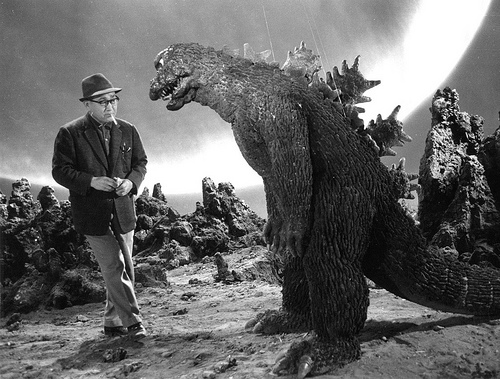 In 1938 he became head of Special Visual Techniques at Toho Tokyo Studios, setting up an independent special effects department in 1939. 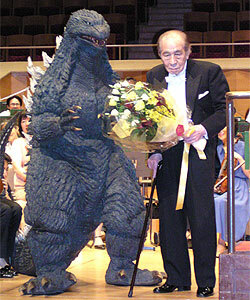 He expanded his technique greatly during this period and earned several awards, but did not stay long at Toho. During the war years (the Second Sino-Japanese war and World War II) he directed a number of propaganda films and produced their special effects for Toho's Educational Film Research Division created by decree of the imperial government. Those include Kōdō Nippon (The Imperial Way of Japan) (1938), Kaigun Bakugeki-tai (Naval Bomber Squadron) (1940), The Burning Sky (Moyuru ōzora) (1940), Hawai Mare oki kaisen (The War at Sea from Hawaii to Malaya) (1942), Decisive Battle in the Skies (Kessen-no Ōzara-e) (1943) and Kato hayabusa sento-tai (1944). According to legend, Tsuburaya's work on The War at Sea... was so impressive that General MacArthur's film unit is said to have sold footage of the film to Frank Capra for use in Movietone newsreels as actual footage of the attack on Pearl Harbor. During the Occupation of Japan following the war, Tsuburaya's wartime association with such propaganda films proved a hindrance to his finding work for some time. He went freelance with his own production company, Tsuburaya Visual Effects Research (working on films for other studios), until he returned to Toho in the early 1950s. As head of Toho's Visual Effects Department (which was known as the "Special Arts Department" until 1961), that he established in 1939, he supervised around an average of sixty craftsmen, technicians and cameramen. It was here that he became part of the team, along with director Ishirō Honda and producer Tomoyuki Tanaka, that created the first Godzilla film in 1954, and were dubbed by Toho's advertising department as "The Golden Trio". 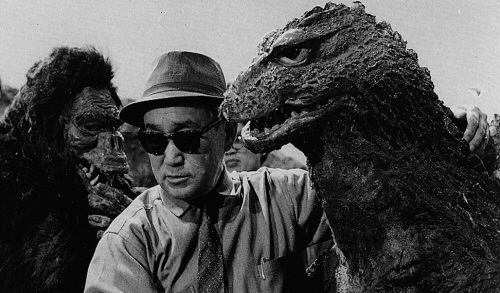 For his work in Godzilla (ゴジラ - Gojira), Tsuburaya won his first "Film Technique Award". 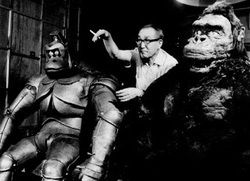 In contrast to the stop motion technique most famously used Willis O'Brien to create the 1933 King Kong, Tsuburaya used a man in a rubber suit to create his giant monster effects. This technique, now most closely associated with Japanese kaiju or monster movies, has come to be called suitmation (originated in the Japanese fan press during the 1980s). Through intense lighting and high-speed filming, Tsuburaya was able to add to the realism of the effects by giving them a slightly slower, ponderous weightiness. This technique, using detailed miniatures with men-in-monster-suits, is still being used today (but combined with CGI techniques as well) and is now considered a traditional Japanese craft art. The tremendous success of Godzilla led Toho to produce a series science fiction films, films introducing new monsters, and further films involving the Godzilla character itself. 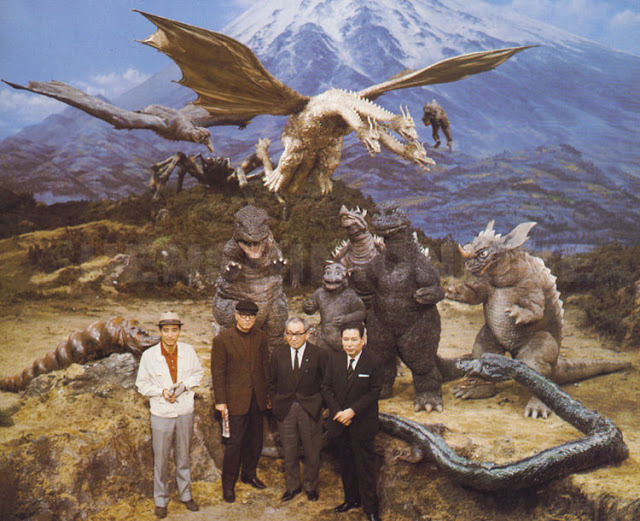 The most critically and popularly successful of these films were those involving the team of Tsuburaya, Honda and Tanaka, along with the fourth member of the Godzilla team, composer Akira Ifukube. Tsuburaya continued producing the special effects for non-kaiju films like The H-Man (1958), and The Last War (1961), and won another Japanese Movie Technique Award for his work in the 1957 science-fiction film The Mysterians. He also won another award in 1959 for the creation of the "Toho Versatile System", an optical printer for widescreen pictures, which he built in-house and first used on The Three Treasures in 1959 (Tsuburaya was continually frustrated by the poor state of equipment he was forced to use, and Toho's money-pinching that prevented the acquisition of new motion picture technologies). A loyal company man, Tsuburaya continued to work at Toho Studios until his death in 1970. In the 1940s, Tsuburaya started his own special effects laboratory (set up at his home), and in 1963, founded his own studio for visual effects, Tsuburaya Productions. In 1966 alone, this company aired the first 'monster' series for television, Ultra Q beginning in January, followed it with the highly popular Ultraman in July, and premiered a comedy-monster series, Booska, the Friendly Beast in November. Ultraman became the first live-action Japanese television series to be exported around the world, and spawned the Ultra Series which continues to this day. 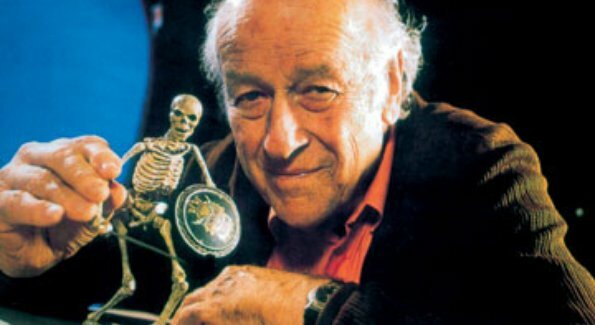 CREATOR CLOSE-UP : Ray Harryhausen, R.I.P. Raymond "Ray" Harryhausen (June 29, 1920 – May 7, 2013) was an American visual effects creator, writer, and producer who lived in London, England, from 1960 until his death in 2013. He created a brand of stop-motion model animation known as "Dynamation." His most important works include the animation on Mighty Joe Young, with pioneer Willis O'Brien, which won the Academy Award for special effects (1949); The 7th Voyage of Sinbad, his first color film; and Jason and the Argonauts, featuring a famous sword fight against seven skeleton warriors. Harryhausen was born in Los Angeles, California, the son of Martha L. (née Reske) and Frederick W. Harryhausen. He was of German descent, with the family surname having been originally spelled "Herrenhausen". He had been married to Diana Livingstone Bruce since 1963. Harryhausen draws a distinction between films that combine special effects animation with live action, and films that are completely animated, such as the films of Tim Burton, Nick Park, Henry Selick, Ivo Caprino, Ladislav Starevich and many others (including his own fairy tale shorts) which he sees as pure "puppet films", and which are more accurately (and traditionally) called "puppet animation". In most of Harryhausen's films, model animated characters interact with, and are a part of, the live action world, with the idea that they will cease to call attention to themselves as "animation." This is different from the more obviously "cartoony" and stylized approach in movies like Chicken Run and The Nightmare Before Christmas. Harryhausen's last film was Clash of the Titans, released in 1981. In 2009, he released colorized DVD versions of three of his classic black and white Columbia films (20 Million Miles to Earth, Earth vs. the Flying Saucers, and It Came from Beneath the Sea) and of She, in tribute to its producer Merian C. Cooper (who had also done King Kong). After having seen King Kong for the first of many times in 1933, Harryhausen spent his early years experimenting in the production of animated shorts, inspired by the burgeoning science fiction literary genre of the period. A friend arranged a meeting with Harryhausen's idol, Willis O'Brien, animator of King Kong. O'Brien critiqued Harryhausen's early models and inspired him to take classes in graphic arts and sculpture to hone his skills. Harryhausen became friends with an aspiring writer, Ray Bradbury, with similar enthusiasms. Bradbury and Harryhausen joined a Los Angeles-area Science Fiction League formed by Forrest J. Ackerman in 1939, and the three became lifelong friends. 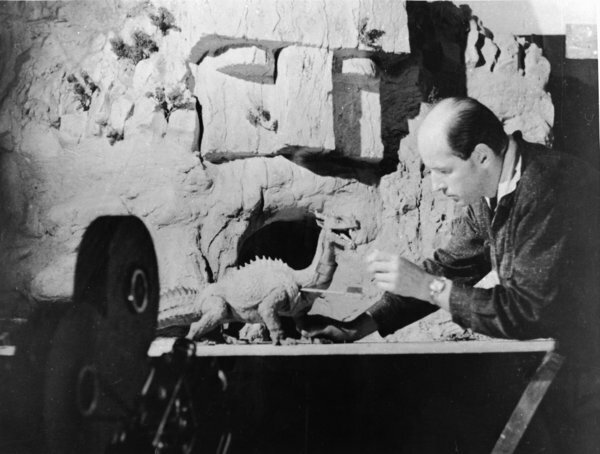 Harryhausen secured his first commercial job, on George Pal's Puppetoons shorts, based on viewing his first formal demo reel of fighting dinosaurs from a project called Evolution of the World which was never finished. During World War II, Harryhausen worked for Special Services Division under Colonel Frank Capra, as a loader, clapper boy, goffer and later camera assistant, whilst working at home animating short films about the use and development of military equipment. During this time he also worked with composer Dimitri Tiomkin and Ted Geisel ("Dr. Seuss"). Following the war he salvaged several rolls of discarded 16 mm surplus film from which he made a series of fairy tale-based shorts, which he calls his "Teething-rings". 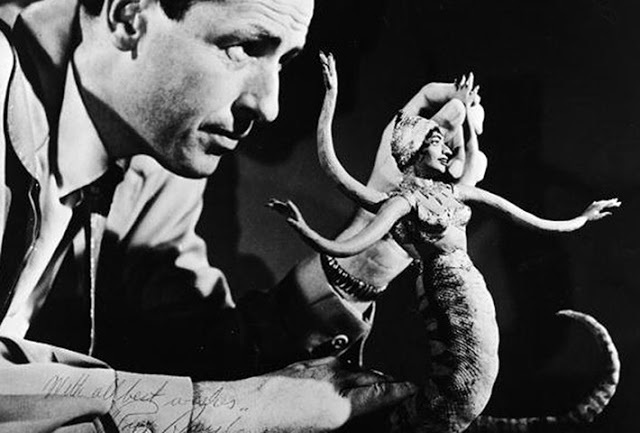 One of Harryhausen's most long-cherished dreams was to make H.G. Wells' The War of the Worlds. After World War II, he shot a scene of an alien emerging from a Martian cylinder showing the fearsome being from Mars fatally succumbing to an earthly illness, contracted from the air the natives breathe harmlessly. It was part of an unrealized project to adapt the story using Wells' original "octopus" concept for the Martians. 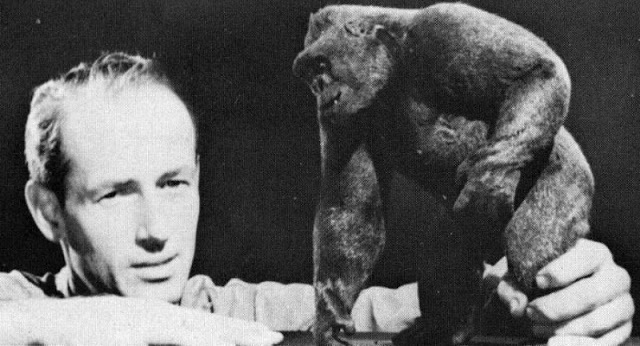 In 1947 Harryhausen was hired as an assistant animator on what turned out to be his first major film, Mighty Joe Young (1949). O'Brien ended up concentrating on solving the various technical problems of the film, leaving most of the animation to Harryhausen. Their work won O'Brien the Academy Award for Best Special Effects that year. King Kong was re-released in 1952, and contributed to a creation and revival of a giant monster cinema craze, especially at drive-in theaters. 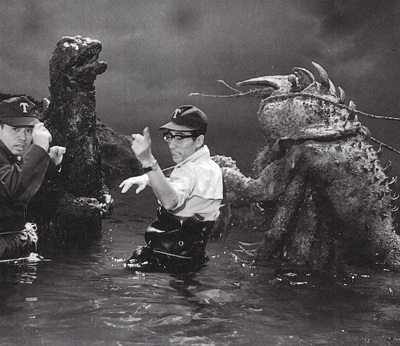 Harryhausen was hired to do the special effects for The Monster from Beneath the Sea. 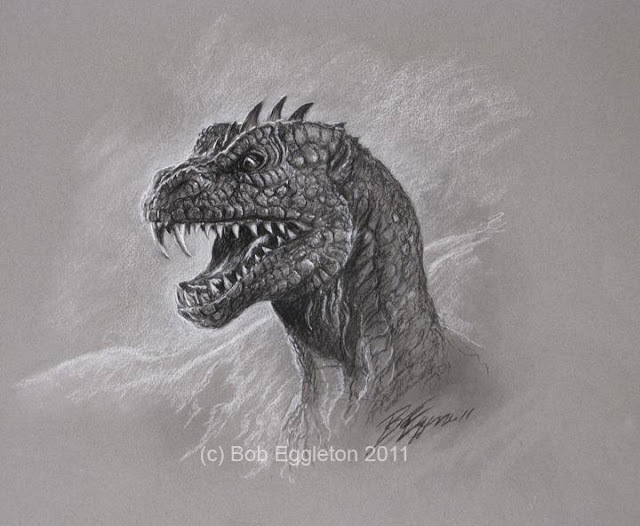 While in production, the filmmakers learned that a long-time friend of Harryhausen, writer Ray Bradbury, had sold a short story called "The Beast from 20,000 Fathoms" (retitled "The Fog Horn") to The Saturday Evening Post, about a dinosaur drawn to a lone lighthouse by its foghorn. 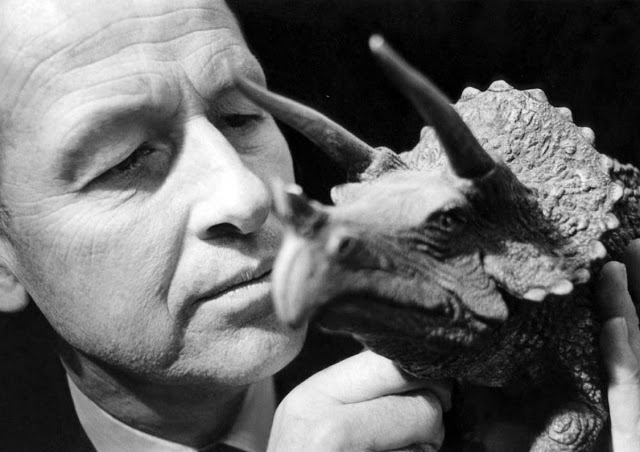 Because the story for Harryhausen's film featured a similar scene, the film studio bought the rights to Bradbury's story to avoid any potential legal problems. Also, the title was changed to The Beast from 20,000 Fathoms (1953). Under that title, it became Harryhausen's first solo feature film effort, and a major international box-office hit for Warner Brothers Pictures. It was on The Beast From 20,000 Fathoms that Harryhausen first used a technique that split the background and foreground of pre-shot live action footage into two separate images into which he would animate a model or models so seemingly integrating the live-action with the models. The background would be used as a miniature rear-screen with his models animated in front of it, re-photographed with an animation-capable camera to combine those two elements together, the foreground element matted out to leave a black space. Then the film was rewound, and everything except the foreground element matted out so that the foreground element would now photograph in the previously blacked out area. This created the effect that the animated model was "sandwiched" in between the two live action elements, right into the final live action scene. Most of the effects shots in his earliest films were done without resorting to expensive and time-consuming optical printer work. Harryhausen's careful frame-by-frame control of the lighting of both the set and the projector dramatically reduced much of second generation degradation common in most usage of back-projection. His use of diffused glass to soften the sharpness of light on the animated elements allowed them to match the soft background plates far more than Willis O'Brien had achieved in his early films, allowing Harryhausen to match live and miniature elements seamlessly in most of his shots. 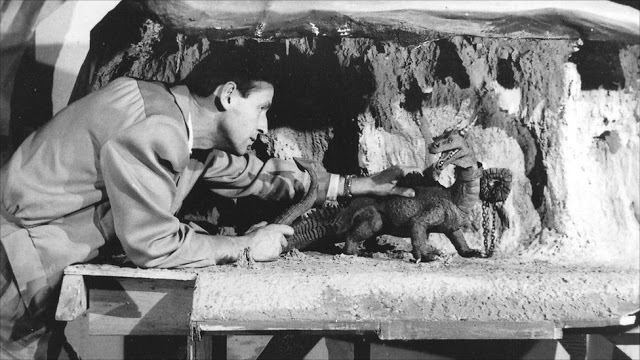 By developing and executing most of this miniature set wizardry himself, Harryhausen saved money, while maintaining full technical control to achieve a variety of superior and convincing special effects techniques. A few years later, when Harryhausen began working with color film to make The 7th Voyage of Sinbad, he experimented extensively with color stock to overcome the color-balance-shift problems. Ray's producer/partner Charles H. Schneer coined the word Dynamation as a "merchandising term" (modifying it to "SuperDynaMation" and then "Dynarama" for some subsequent films). Harryhausen was always heavily involved in the pre-production conceptualizing of each film's story, script development, art-direction, design, storyboards, and general tone of the his films, as much as any auteur director would have on any other film, which any "director" of Harryhausen's films had to understand and agree to work under. Only the complexities of Director's Guild rules in Hollywood prevented Harryhausen from being credited as the director of his films, resulting in the more modest credits he had in most of his films. Throughout most of his career, Harryhausen's work was a sort of family affair. His father did the machining of the metal armatures (based on his son’s designs) that were the skeletons for the models and allowed them to keep their position, while his mother assisted with some miniature costumes. After Harryhausen's father died in 1973, Harryhausen contracted his armature work out to another machinist. An occasional assistant, George Lofgren, a taxidermist, assisted Harryhausen with the creation of furred creatures. Another associate, Willis Cook, built some of Harryhausen's miniature sets. 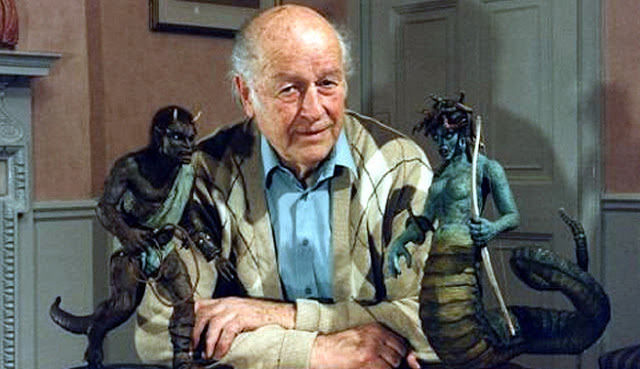 Other than that, Harryhausen worked generally alone to produce almost all of the animation for all his films, until he hired protégé model animators Steve Archer and two-time Oscar-nominated Jim Danforth to assist with major animation sequences for his last feature film Clash of the Titans (1981). The same year that Beast was released, 1953, fledgling film producer Irwin Allen released a live action documentary about life in the oceans titled The Sea Around Us, which won an Oscar for best documentary feature film of that year. Allen's and Harryhausen's paths would cross three years later, on Allen's sequel to this film. Harryhausen soon met and began a fruitful partnership with producer Charles H. Schneer, who was working with the Sam Katzman B-picture unit of Columbia Pictures. Their first tandem project was It Came from Beneath the Sea (1955) about a giant octopus attacking San Francisco. It was a box-office success, quickly followed by Earth vs. the Flying Saucers (1956), set in Washington D.C. – one of the best of the alien invasion films of the 1950s, and also a box office hit. In 1954, Irwin Allen started work on a second feature-length documentary film, this one about animal life on land called The Animal World (completed in 1956). Needing an opening sequence about dinosaurs, Allen hired premier model animator Willis O'Brien to animate the dinosaurs, but then gave him an impossibly short production schedule. O'Brien again hired Harryhausen to help with animation to complete the 8-minute sequence. It was Harryhausen's and O'Brien's first professional color work. Most viewers agree that the dinosaur sequence of Animal World was the best part of the entire movie. (Animal World is available on the DVD release of O'Brien's 1957 film The Black Scorpion. Harryhausen then returned to Columbia and Charles Schneer to make 20 Million Miles to Earth (1957), about an American spaceship returning from Venus. The spaceship crashes into the ocean near Italy, releasing an on-board alien egg specimen which washes up on shore. The egg soon hatches a creature that, in Earth's atmosphere, rapidly grows to gigantic size and terrifies Rome. Harryhausen refined and improved his already-considerable ability at establishing emotional characterizations in the face of his Venusian Ymir model, creating yet another international box-office hit film. Schneer was eager to graduate to color films. Reluctant at first, Harryhausen managed to develop the systems necessary to maintain proper color balances for his DynaMation process, resulting in his greatest masterpiece (and biggest hit) of the 1950s, The 7th Voyage of Sinbad (1958), a major inspiration for Dennis Muren, decades later a long-time multi-Oscar-winning head of George Lucas' Industrial Light and Magic special effects company. The top grossing film of that summer, and one of the top grossing films of that year, Schneer and Harryhausen signed another deal with Columbia for four more color films. Harryhausen next made First Men in the Moon (1964), his only film made in the anamorphic widescreen process CinemaScope, based on the novel by H. G. Wells. Amazingly, Gulliver, Mysterious Island, Jason, and First Men in the Moon were all box office disappointments at the time of their original theatrical release. That, plus changes of management at Columbia Pictures, resulted in his contract with Columbia Picture not being renewed. Also, as the 1960s counter-culture came to influence more and more and younger filmmakers, and failing studios struggled to find a new audience, Harryhausen's love of the past, setting his stories in ancient fantasy worlds or previous centuries, kept him from keeping pace with changing tastes in the 1960s. Only a handful of Harryhausen's features have been set in then-present time, and none in the future. As this revolution in the traditional Hollywood movie studio system, and the influx of a new generation of film makers sorted itself out, Harryhausen became a free agent. Harryhausen was then hired by Hammer Film Productions to animate the dinosaurs for One Million Years B.C., released by 20th Century Fox in 1967. It was a box office smash, helped in part by the presence of shapely Raquel Welch in a cavewoman bikini, in her second film. Harryhausen next went on to make another dinosaur film, The Valley of Gwangi with Schneer. The project had been developed for Columbia, who declined. Schneer then made a deal with Warner Brothers instead. It was a personal project to Harryhausen, which he had wanted to do for many years, as it was story-boarded by his original mentor, Willis O'Brien for a 1939 film, Gwangi, that was never completed. Scripted by William Bast, The Valley of Gwangi is set in 1912 Mexico, in a parallel Kong story – cowboys capture a living Allosaurus and bring him to the nearest city for exhibition. Sabotage by a rival releases the creature on opening day and the creature wreaks havoc on the town until it is cornered and destroyed inside a burning cathedral. The film features a roping scene reminiscent of 1949's Mighty Joe Young (which was itself recycled from the old Gwangi storyboards) and is the technical highlight of the film, which many Harryhausen fans are now rediscovering as one of his best films. The film was released in 1969 but was not a financial success, supposedly since it did not appeal with the counter-culture audiences of that era. But another more likely explanation is that Warner Brothers released the film as a double-bill with a biker film, trying to quickly cash in on the surprise success of the film Easy Rider, and thus Gwangi missed an advertising opportunity to find its rightful audience. Reportedly this decision was made after Kenneth Hyman of Seven Arts Productions – which had merged with Warners at the time and was involved with One Million Years B.C. – was released from his contract with the studio. Warners then threw the film away to second run neighborhood theaters, where kids in these small theaters discovered it, slowly growing up to become fans of the film as adults when the film was finally released to video in the 1980s and DVD in 1990s. After a few lean years, Harryhausen and Schneer, talked Columbia Pictures into reviving the Sinbad character, resulting in The Golden Voyage of Sinbad, often remembered for the sword fight involving a statue of the six-armed goddess Kali. It was first released in Los Angeles in the Christmas season of 1973, but garnered its main audience in the spring and summer of 1974. It was followed by Sinbad and the Eye of the Tiger (1977), which disappointed some fans because of its tongue-in-cheek approach. Both films were, however, box office successes. Schneer and Harryhausen finally were allowed by MGM to produce a big budget film with name actors and an expanded effects budget. The film started out smaller but then MGM increased the budget to hire stars such as Lord Olivier. It became the last feature film to showcase his effects work, Clash of the Titans (1981), for which he was nominated for a Saturn Award for Best Special Effects. Harryhausen fans will readily discern that the armed-and-finned kraken (a name borrowed from medieval Scandinavian folklore) he invented for Clash of the Titans has similar facial qualities to the Venusian Ymir he created twenty-five years earlier for 20 Million Miles to Earth. Perhaps due to his hermetic production style and the fact that he produced half of his films outside of Hollywood (living in London since 1960), reducing his day-to-day kinship with other more traditional, but still influential Hollywood effects artists, none of Harryhausen's films were nominated for a special effects Oscar. Harryhausen himself says the reason was that he worked in Europe. 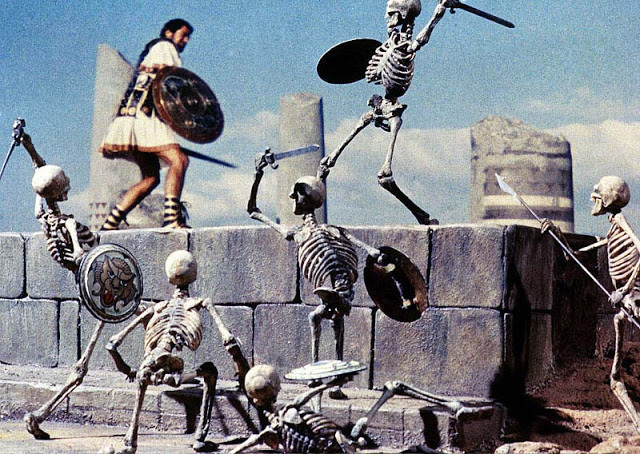 In spite of the relatively successful box office returns of Clash of the Titans, more sophisticated technology developed by ILM and others began to eclipse Harryhausen's production techniques, and so MGM and other studios passed on funding his planned sequel, Force of the Trojans, causing Harryhausen and Schneer to retire from active filmmaking. In the early 1970s, Harryhausen had also concentrated his efforts on authoring a book, Film Fantasy Scrapbook (produced in three editions as his last three films were released) and supervising the restoration and release of (eventually all) his films to video, laserdisc, DVD, and currently Blu-ray disc. A second book followed, An Animated Life, written with author and friend Tony Dalton which details his techniques and history. 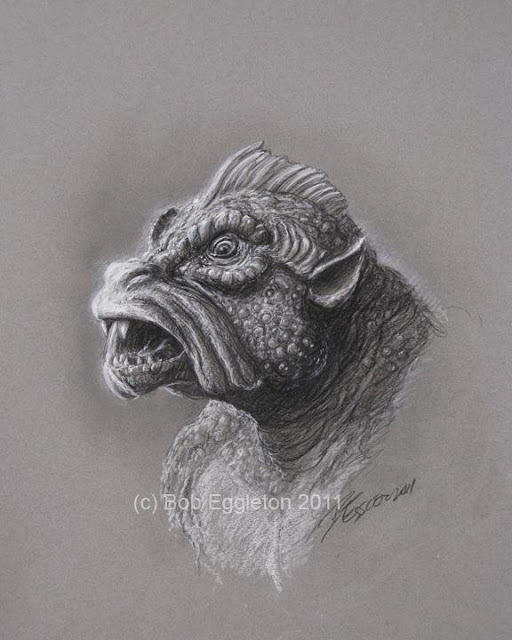 This was then followed in 2005 by The Art of Ray Harryhausen, featuring sketches and drawings for his many projects, some of them unrealized. In 2008 Harryhausen and Dalton published a history of stop-motion model animation, A Century of Model Animation and to celebrate Harryhausen’s 90th birthday The Ray & Diana Harryhausen Foundation published Ray Harryhausen – A Life in Pictures. In 2011 the last volume, called Ray Harryhausen’s Fantasy Scrapbook, was also published. Harryhausen continued his lifelong friendship with Ray Bradbury until Bradbury’s death in 2012. 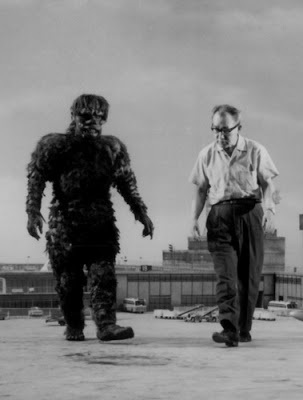 Another long-time close friend was "Famous Monsters of Filmland" magazine editor, book writer, and sci-fi collector Forrest J Ackerman, who loaned Harryhausen his photos of King Kong in 1933, right after Harryhausen had seen the film for the first time. Harryhausen also maintained his friendships with his long-time producer, Charles H. Schneer, who lived next door to him in a suburb of London until Schneer moved full-time to the USA (a few years later, in early 2009, Schneer died at 88 in Boca Raton, FL); and with model animation protégé, Jim Danforth, still living in the Los Angeles area. Harryhausen and Terry Moore appeared in small comedic cameo roles in the 1998 remake of Mighty Joe Young, and he has also provided the voice of a polar bear cub in the Will Ferrell film Elf. He also appears as a bar patron in Beverly Hills Cop III, and as a doctor in the John Landis film Spies Like Us. In 2010, Harryhausen had a brief cameo in Burke and Hare, a British film also directed by Landis. In 1986 Harryhausen formed The Ray & Diana Harryhausen Foundation, a registered charity in the UK and USA, which preserves all of his collection and promotes the art of stop-motion animation and Harryhausen’s contribution to the genre. In 2002, young animators Seamus Walsh and Mark Caballero helped Harryhausen complete The Story of the Tortoise and the Hare. This was the sixth and final installment of the Harryhausen fairy tales. The film was started in 1952 and completed in 2002, 50 years later. Caballero and Walsh refurbished the original puppets and, under Harryhausen's guidance, completed the film. The film went on to win the 2003 Annie award for best short film and gained world wide attention. Walsh and Caballero have since moved on to form their own stop motion company, Screen Novelties which is based in Los Angeles, California. In June 2010, it was announced that the Ray and Diana Harryhausen Foundation had agreed to deposit the animator's complete collection of some 50,000 pieces with the National Media Museum in Bradford, England. Anglo–Swedish pop band, the Hoosiers, dedicated their first single, Worried about Ray, to Ray Harryhausen. The music video features a character called "Ray" making films, and includes a Harryhausen style monster, which is killed after Irwin Sparkes uses his guitar to fire a drum stick into the monster's single eye. Pixar Animation honored him in Monsters Inc. by naming the #1 premiere restaurant in Monstropolis "Harryhausen's"
The Harryhausen family announced his death via Twitter and Facebook on May 7, 2013. The Mirror quoted Harryhausen's website, saying his "influence on today’s film makers was enormous, with luminaries; Steven Spielberg, James Cameron, Peter Jackson, George Lucas, John Landis and the UK's own Nick Park have cited Harryhausen as being the man whose work inspired their own creations." The BBC quoted Peter Lord of Aardman Animations, saying he was "a one-man industry and a one-man genre" on Twitter. They quoted Shaun of the Dead director Edgar Wright: "I loved every single frame of Ray Harryhausen's work ... He was the man who made me believe in monsters." In a full statement released by the family, George Lucas said, "Without Ray Harryhausen, there would likely have been no Star Wars". During the 1980s and early 1990s, those of Harryhausen's growing legion of fans who had graduated into the professional film industry, started lobbying the Academy of Motion Picture Arts and Sciences to acknowledge Harryhausen's contribution to the film industry and he was finally awarded a Gordon E. Sawyer Award for "technological contributions [which] have brought credit to the industry" in 1992, with Tom Hanks as the Master of Ceremonies and Bradbury, a friend from when they were both just out of high school, presenting the award. A long series of appearances at film festivals, colleges, and film seminars around the world soon followed as Harryhausen met many of the millions of people who had grown up enjoying his work. The work of Ray Harryhausen was celebrated in an exhibition at London's Museum of the Moving Image (MOMI) in 1990. In 2010 the main screening theater at Sony Pictures Digital Productions was named in honor of Harryhausen. The Science Fiction Hall of Fame inducted Harryhausen in 2005, the first year it honored non-literary contributors. He received the annual British Fantasy Society Wagner Award in 2008 for his lifetime contribution to the genre. On June 10, 2003, Harryhausen was honored with a star on the Hollywood Walk of Fame. Fan and film maker tributes to Harryhausen abound in many forms, including a variety of model animation experiments posted on YouTube. A clay animation short film by Sub-Genius Church founder Ivan Stang, "Martian Peen Worm" (the short title of that film) makes several whimsical Harryhausen references. The ABC TV 1990s children's puppet animation series "Bump In the Night" makes a variety of veiled tributes to Harryhausen, also. The Mythos Games/Virgin Interactive Entertainment computer game Magic and Mayhem (1990) features over 25 stop-motion mythological creatures that were directly inspired by Harryhausen's work. Constructed by special effects expert and stop-motion animator Alan Friswell, the various characters include a dragon, a centaur, a griffin and a fighting skeleton. For the griffin's wing animation, Friswell studied the griffin from The Golden Voyage of Sinbad (1974). The 2001 Pixar film, Monsters, Inc. pays homage to Harryhausen in a scene where characters Mike Wazowski and Celia Mae visit a sushi restaurant named "HARRYHAUSEN'S". The 2004 Warner Bros. film, Scooby Doo 2: Monsters Unleashed also pays homage to Harryhausen in the scene involving the Celtic secret society book when the name "Harry Hausen" is written as a previous owner of the book. In the TV movie Monster Island (2004), a scientist (played by Adam West) was named after Harryhausen. The 2005 Warner Bros. film, Corpse Bride pays homage to Harryhausen as well, in a scene where character Victor Van Dort is playing the piano in the Everglott's home. The brand of the piano being played is a "Harryhausen". In 2007, fantasy comic book author/illustrator Stephen D. Sullivan dedicated his novel Warrior's Bones to Harryhausen and comic creator Stan Lee. "For stoking the fires of my imagination." In the book, which is part of the Dragonlance: The New Adventures series, the heroine must battle a rampaging clockwork giant. Tim Burton considers his satiric science fiction movie, Mars Attacks! (1996), to be a tribute to Harryhausen, especially in a scene in which one of the hostile alien's flying saucers chops down the Washington Monument by crashing into it, just as Harryhausen had done in his movie Earth vs. the Flying Saucers in 1956. Burton's movie, and this scene, initially gathered mixed reactions from Harryhausen, who has a habitually more subdued sense of humor. These differences were congenially resolved in subsequent meetings between the two film-makers for the Blu-ray disc boxed set bonus features.